This entry was tagged invesor visa approved spain, investor visa spain, investor visa spain news, property visa news spain, property visa spain. Bookmark the permalink. It could be some weeks before we get the full version in Spanish but our partner lawyers can help anybody progressing now. We have a website specifically set up for €500k+ property. There are very few bank properties over €500k available in Spain. Many of the best combinations for multiple bank properties are in Murcia. 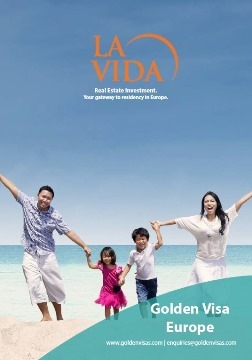 See this link: Investment Visa Properties Spain. Pls clarify: To maintain the Perminent Residency Card in spanish, do I have to stay in Spain at least 183 days or 6 months every year?? TKS!!! To obtain permanent residency under the investor visa program in Spain you have to have resided in the country for 5 years. That means 183+ days each year. You can do that anytime. You can keep renewing the investor visa for 10,20,30 years and live there as much as you want. Note that citizenship is different to permanent residency. For citizenship and hence EU citizenship you need to have 10 years permanent residency.